Eric Millikin, also known as Eric Monster Millikin, is an American artist, humorist, and blogger; formerly a human anatomy lab embalmer and dissectionist. He is known for his pioneering work in Internet art and webcomics, and for his controversial semi-autobiographical artwork with political, romantic and horror themes. Millikin began posting comics and art on the internet using CompuServe in the 1980s, and began publishing on the World Wide Web as early as the fall of 1995. His artwork has also been published in books, serialized in newspapers, and displayed in art museums. The themes of Millikin's art often involve the occult, romantic relationships, and self-portraits as well as portraits of celebrities and political figures. The artwork is mixed media, often combining expressionist paintings and optical illusions with found objects. Millikin's works often have political themes, and the text is sometimes written in free verse or ambigrams. Millikin is one of the few, and first, webcomic creators successful enough to make a living as an artist. He often collaborates with artist Casey Sorrow. Millikin's artwork is characterized by brilliantly colored paint brushed and smeared into swirls and spirals. His large-scale artwork takes full advantage of the internet's formal possibilities, and has incorporated animation and winding "infinite canvas" designs, going beyond the limited sizes and shapes of conventional printed pages. The American Library Association's Booklist describes how Millikin's expressionistic visual style "crosses Edvard Munch with an incipient victim of high-school suicide"  and The Hindu describes his paintings as "haunting images." Millikin's works range from those made almost completely of calligraphy, typography or text (for example "My Little Brother," a first-person tale from the perspective of one conjoined twin in a love triangle) to those that are completely abstract. Millikin's artwork is given by Scott McCloud as an example of using the web to create "an explosion of diverse genres and styles" and is described as "mind-blowing" by Comic Book Resources. Major recurring themes of Eric Millikin's art are portrait paintings, the supernatural, and optical illusions. In his series "Hollywood Witch Trials", Millikin paints portraits of celebrities like Paris Hilton and Lindsay Lohan based on their crime mug shots, stylizes them to look like witches, and combines them with excerpts from transcripts of the Salem Witch Trials. His "American Mayhem" series uses optical illusions that transform American flags into cityscapes filled with monsters, and incorporates ambigram calligraphy that reads when the paintings are hung upside down. He often creates self-portraits showing him falling prey to tragic death or engaging in star-crossed love affairs. For example, he is depicted engaged in activities such as being killed by vampire hunters, being eaten by a dinosaur, and sawing off his own arm then replacing it with a zombie's. His artwork often involves supernatural creatures, like Fetus-X, a psychic zombie fetus floating in a jar of formaldehyde who may or may not be Millikin's missing Siamese twin or his clone from an alternate timeline or dimension. Millikin began drawing horror comics by age one-and-a-half, when he made crayon drawings of ghosts terrorizing him during toilet-training. By second grade, he was making teachers profane birthday cards showing his school burning down. As a youth, he was influenced by 1980s X-Men and Far Side comics and the video game Gorf. When he was in elementary school in 1985, Millikin began posting his unauthorized Wizard of Oz parody comic Witches and Stitches on Compuserve. Publishing on Compuserve allowed Millikin to self-publish, avoiding censorship. Witches and Stitches was popular with audiences around the world and Millikin's success inspired many artists to create their own webcomics. 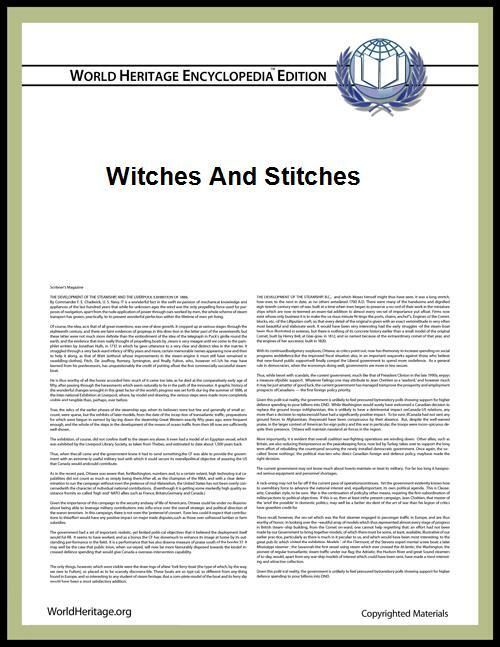 Copies of Witches and Stitches are now often difficult to find because Millikin was threatened with a lawsuit over the comic. Millikin's outspoken autobiographical style paved the way for other artists to express their thoughts and opinions on the web. Millikin attended art school at Michigan State University in their Honors College. He paid his way through school by working in MSU's human anatomy lab dissecting human cadavers. Eric Millikin has published webcomics since at least the fall of 1995. In his book Attitude 3: The New Subversive Online Cartoonists, syndicated newspaper editorial cartoonist Ted Rall describes Millikin's work as "one of the most interesting webcomics around." The Webcomics Examiner named Millikin's comics one of the best webcomics, the webcomics blog ComixTalk named it one of the 100 Greatest Webcomics of all time, and The Washington Post's readers named it one of the top 10 finalists for Best Webcomic of the Past Decade in 2010. Millikin's work has also been nominated for multiple Web Cartoonists' Choice Awards, including their top honor of "Outstanding Comic". Millikin has been a panelist and guest at webcomic conventions, including the inaugural New England Webcomics Weekend, the first convention organized by and focusing on webcomic creators. Millikin was an editor (along with Tom Hart) and contributing artist of the online alternative comics anthology Serializer. The Sunday Times described their work on serializer as "high-art", and the Sydney Morning Herald considers them to be the avant-garde. Serializer's contributing artists also included Renée French, James Kochalka, Chris Onstad, Ryan North, Jen Sorensen, Matt Bors, Joey Comeau and Emily Horne. Millikin has also been published by the webcomics sites Modern Tales and Webcomics Nation. His comics are one of the all-time most popular on Webcomics Nation. Millikin's artwork is often shown in galleries and museums. He is one of the artists in the "Out of Sequence: Underrepresented Voices in American Comics" art exhibition which has travelled to the Krannert Art Museum and The Laboratory of Art and Ideas at Belmar, and in the "Monsters of Webcomics Virtual Gallery" at San Francisco's Cartoon Art Museum. His artwork was included, along with Marilyn Manson and HR Giger's, in the international horror art collection "DAMNED." Millikin is known for his political and social activism, with his artwork often tackling controversial issues. He has championed Barack Obama's Patient Protection and Affordable Care Act, commonly referred to as "Obamacare". Millikin has also championed green energy, ridiculing the "Drill, Baby, Drill Brigade" of "oil producers, free-market zealots and global warming deniers." The Webcomics Examiner has called Millikin's work "one of the sharpest political commentaries available." Millikin has also used his artwork to raise money for causes like helping Hurricane Katrina victims, fighting diseases like muscular dystrophy, and granting wishes to terminally ill children through the Make-A-Wish Foundation. He has also created posters campaigning to raise money for programs to improve adult literacy and auctioned artwork to support soup kitchen efforts to feed the hungry. Millikin's artwork has won many awards from organizations including the Associated Press, Society of Professional Journalists, Investigative Reporters and Editors and the Society for News Design. In 2008 his illustrations were part of the series "A Mayor in Crisis", wherein the Detroit Free Press covered, or uncovered, secret text messages of Detroit Mayor Kwame Kilpatrick to reveal the mayor's perjury and obstruction of justice in a police whistle-blower trial. The series resulted in Kilpatrick's being sent to jail and in the newspaper's 2009 Pulitzer Prize for Local Reporting. His front-page artwork in the Detroit Free Press advocating for U.S. government loans as a solution to the automotive industry crisis of 2008–2009 was described as a "gutsy move" that "stretch[es] the limits of the medium" and CNN's Kyra Phillips described it as "full front page and in your face". Congressman John D. Dingell displayed it on the House floor urging passage of government loans to automakers and reiterated the central theme of the piece, saying "now is the time for us to 'Invest in America'." Millikin's October 2011 Wizard of Oz-themed Detroit Free Press front-page "Lions, Tigers and Bears: Oh my!" illustration (about the Detroit Lions, Detroit Tigers and Chicago Bears) was praised by ESPN's Mike Tirico during the Monday Night Football half time show. However, not all criticism of Millikin's artwork has been positive. Since 2000, Millikin has been the target of protest campaigns organized by the Catholic League for what they call his "blasphemous treatment of Jesus". “This particular comic is offensive to Catholics and Christians,” Catholic League spokesman Patrick Scully said in August 2002. “It completely ridicules the Catholic faith and is not funny.”  The Hartford Advocate has called Millikin a "borderline sociopath." Millikin has been an early and vocal supporter of the holiday Monkey Day (celebrated December 14). Monkey Day was created by Millikin's frequent collaborator Casey Sorrow in 2000 as an opportunity to educate the public about monkeys, as a holiday that supports evolution rather than religious themes, and an excuse to throw monkey-themed costume parties. For Monkey Day 2012, USA Weekend published Millikin's The 12 Stars of Monkey Day, a series of paintings that were "in part inspired by the many pioneering space monkeys who rode into the stars on rockets, leading the way for human space flight."